Volunteers of Congressman Gene Green’s 16th Annual North Channel Area Community Clean-up. Houston, TX — Saturday, April 14, 2018 — Volunteers came out to the North Shore Community Fellowship of Faith church on Maxey Road to clean-up in the North Channel communities. Locations included the East Freeway Corridor, Greens Bayou, North Shore Herman Brown Park Nature Walk and North Channel Areas. Partners were, the City of Houston, Keep Houston Beautiful, Department of Neighborhoods, Houston Police Department – NE Division, State Senator Sylvia Garcia, State Rep. Ana Hernandez, Sheriff Ed Gonzalez, Commissioner Rodney Ellis, Constable Chris Diaz, Councilman Robert Gallegos, North Channel Area Chamber of Commerce, Northeast Houston Advisory Council, North East Partners In Power, Inc., E.T.C.P., Holiday Forest, Wood Shadows I, Wood Shadows II Civic Clubs and others. Everyone was provided a program with the school’s history and enjoyed music from the band, choir, and performances by the Jacketeers and Cheerleaders. Refreshments were prepared and given out by the culinary class. Previous Yearbooks were on display and photos with Mr. Jack the school’s mascot were taken. 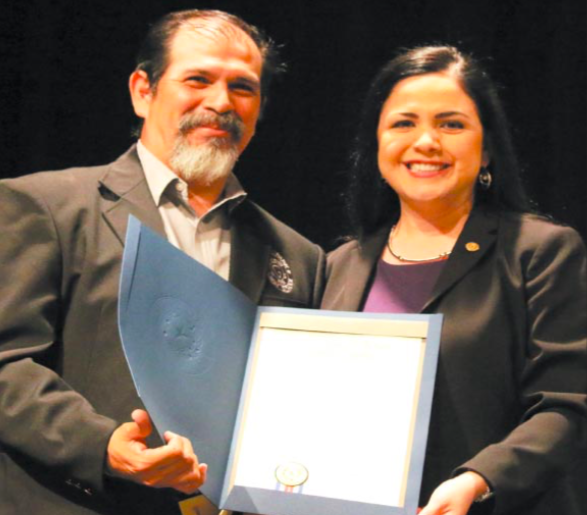 State Representative Ana Hernandez presented Tony Gardea, the school’s principal with a resolution. Galena Park, TX. 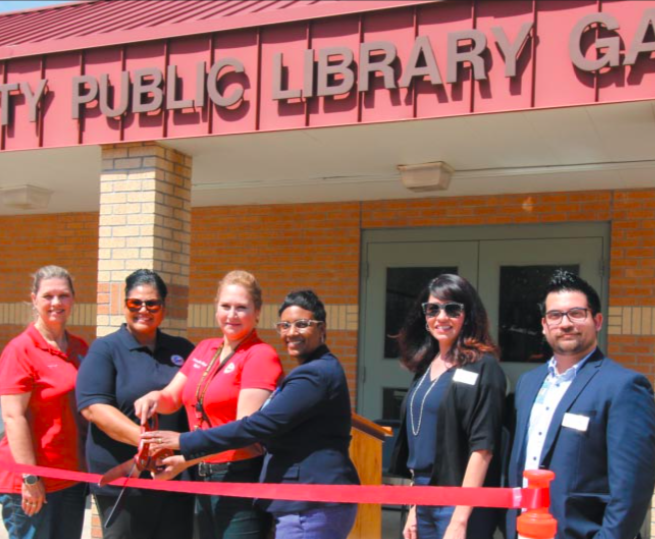 – Tuesday, April 24, 2018 — After months of refurbishing, the Galena Park/Harris County Branch Library located at 1500 Keene Street is re-opened. To help celebrate, GPISD’s MacArthur and Galena Park Elementary Honor Choir’s performed with refreshments served afterwards.